The Orion Hypercube is meant to be more of 3D labyrinth than a traditional maze on a 2D plane. I wanted the player to experience a slow breakaway from moving on an x-y axis and into the z axis by first traveling around the outer walls of a cube and then getting to explore below, above, and beyond. I also wanted each room to feel like a 'tour' of unique experiences, and designed each space as either a 3D exploration of (or a reference to) some of my favorite paintings, sculptures, and music videos - but *only* using cubes and quads. Build a maze using waypoints, a key, and a door. Feel free to use these greek-themed prefabs or make your own. + Build something from scratch. + Explore how "large" I could go if keeping to the simplest shapes and prefabs. 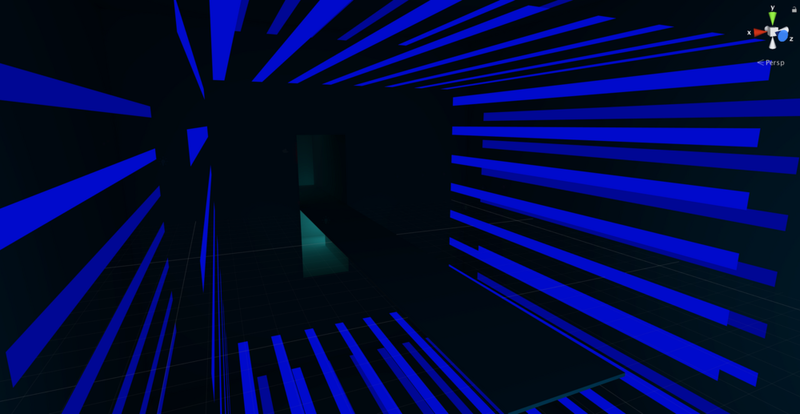 + Use almost exclusively planes, cubes, and lighting to create a dynamic environment. + Utilize VR to allow the player to comfortably explore space both horizontally and vertically. + Create something that felt like an "experience" more than a game/maze.